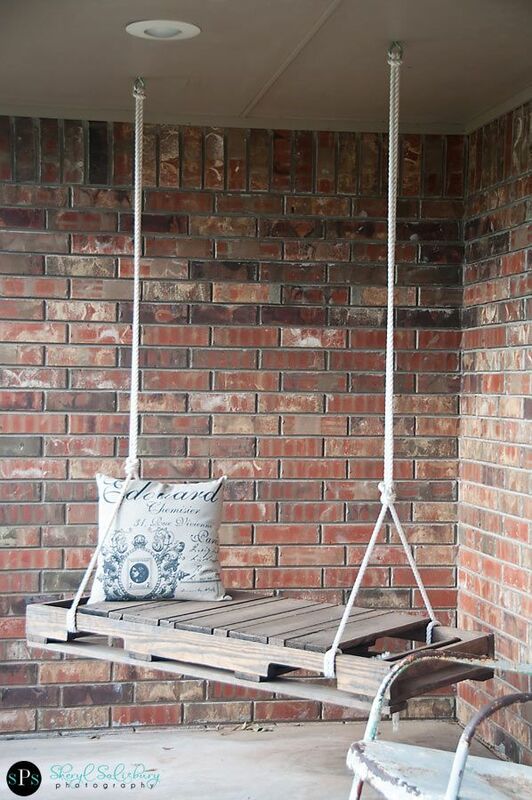 A little dream of mine has always been to have a porch swing… At some point in time it’s gonna happen! Seeing as how we don’t have a porch, it won’t be happening any time soon, but that won’t stop me looking and perhaps making one! You know how much we love pallets around here. You can do so much with them! This particular plan has an great look and is fairly simple! The basic process involves sawing the pallet in half, attaching eye hooks for your rope, stain and hang! I love it. For more detailed instructions visit Sheryl Salisbury Photography.